One problem with accepting Mark as a Simonian/Pauline allegory (see the previous post) is the role it gives to John the Baptist. As it stands canonical Mark seems intent on presenting John as the foreshadower of Jesus. His preaching of repentance foreshadows the preaching of it by Jesus (Mk. 1:15) and then by Jesus’ apostles (Mk. 6:12). The rejection of John’s authority by the chief priests, the scribes and the elders (Mk. 11:27) foreshadows the rejection of Jesus’ authority by the same. John is the end-time Elijah whose suffering and mistreatment foreshadow what happens to Jesus as the Son of man (Mk. 9:12-13). And John’s execution, as recounted in one of longest episodes in Mark (6:17-29), foreshadows that of Jesus. The Baptist passages contain problems that scholars have recognized for some time. . . . we should remain open to the possibility that the problems were caused by a reworking of the text. Now, I have a hard time accepting that a Simonian/Pauline allegory would devote that much attention to John. Neither John nor Elijah is ever mentioned in the Pauline letters. There is no indication in the letters that Paul believed Elijah had recently returned and prepared the way for Jesus. Paul reproaches the Jews for their unbelief but never brings into it their failure to accept the preparatory testimony of John the Baptist. If John was an important figure to Paul, I expect that failure would have been a normal part of his upbraiding. But no, Paul seems to have little time for Jewish history or figures, whether recent or not. He skips that and instead connects Jesus with pre-circumcised Abraham. Must we abandon then the thesis that Mark is a Simonian/Pauline allegory? I’m not yet ready to do that, for it seems to me that there is a decent possibility that the Baptist passages were not originally part of Mark. They do, after all, contain problems that scholars have recognized for some time. The usual way to deal with the problems is to claim that Mark was probably working with various earlier traditions and his weaving of them into his narrative was not always smooth. Perhaps, but since for various reasons the tradition scenario itself is questionable, I think we should also remain open to the possibility that the problems were caused by a reworking of the text. 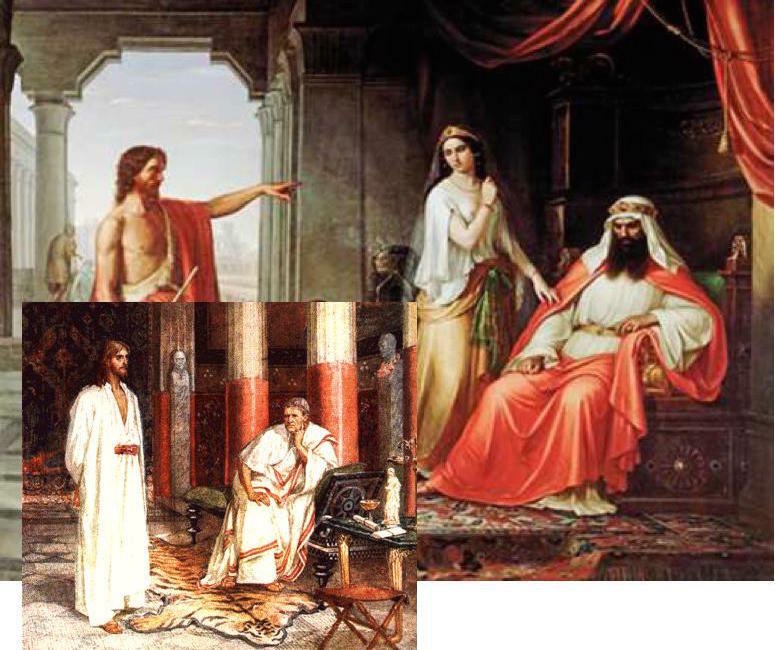 A Simonian/Pauline allegory featuring a Jesus who foreshadowed Simon/Paul may not have been acceptable to a rival Christian. He or she may have reworked it to set Jesus up with a different hero, John the Baptist. We may be so accustomed to how Mark begins that we fail to realize how strange it is. 1. The beginning of the gospel of Jesus Christ, Son of God, 2. as it is written in Isaiah the prophet, ‘Look, I am sending my messenger ahead of you to prepare your way. 3. A voice crying in the wilderness — Prepare the way of the Lord; make his paths straight.’ 4. John the Baptist appeared in the wilderness, proclaiming a baptism of repentance for the forgiveness of sins. We may be so accustomed to how Mark begins that we fail to realize how strange it is. No sooner is Jesus Christ named than attention is immediately shifted to John the Baptist. And the shift occurs not by naming John — that doesn’t happen until verse 4 — but by quoting verses from Scripture. And Mark presents the verses as being from Isaiah, but in fact verse 2 appears to be a combination from Exod. 23:20 and Mal. 3:1. In Matthew and Luke that verse clearly has the Baptist in view, but in their gospels it turns up later as part of a passage often assigned to Q. And in their gospels it is not attributed to Isaiah. Thus some scholars acknowledge that verse 2 may be an interpolation. But even if it is, does it really matter much? After all, verse 3, with its “voice crying in the wilderness,” surely does refer to John the Baptist, no? I’m not so sure. According to Robert Guelich, in all other instances when the expression “as has been written” is used as an introductory formula, it always refers back and never forward in its context (“The Beginning of the Gospel — Mark 1:1-15,” Biblical Research 27; 1982). Unless one is prepared to argue that we are dealing here with an exception, whatever quotation followed the expression should refer back to Jesus Christ mentioned in verse 1, not forward to John the Baptist in verse 4.